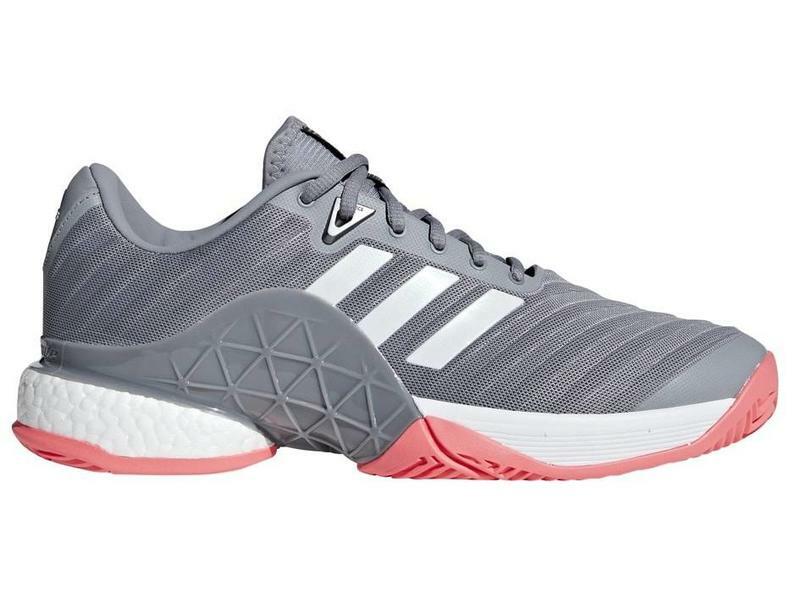 Grab yourself a dependable shoe in the improved Men's Barricade 2018 Boost in Gray & Flash Red Pink! 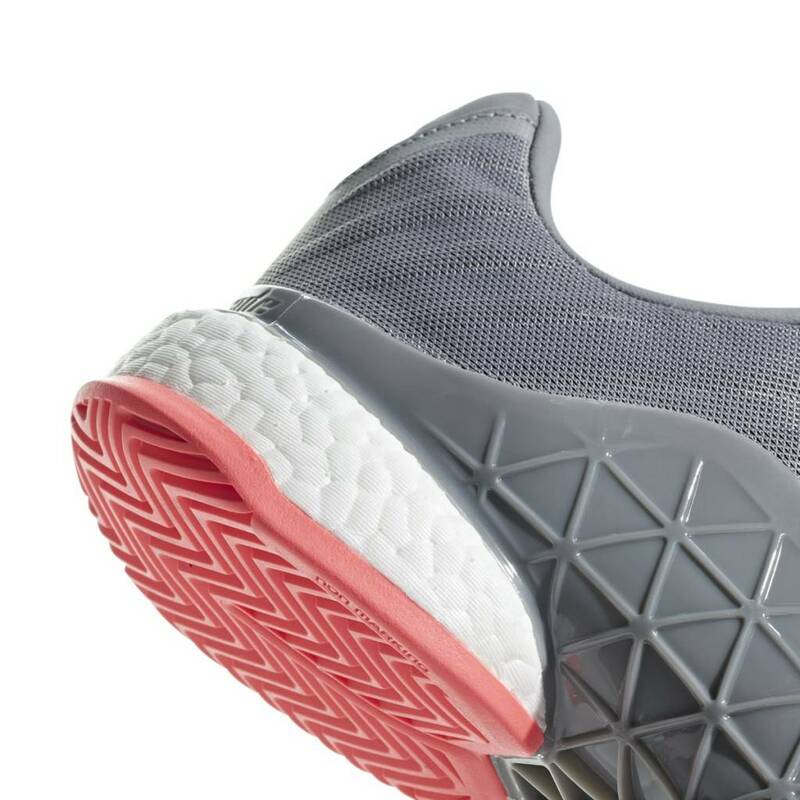 An adidas flagship shoe with Boost added, the 2018 Barricade features a seamless mesh upper. 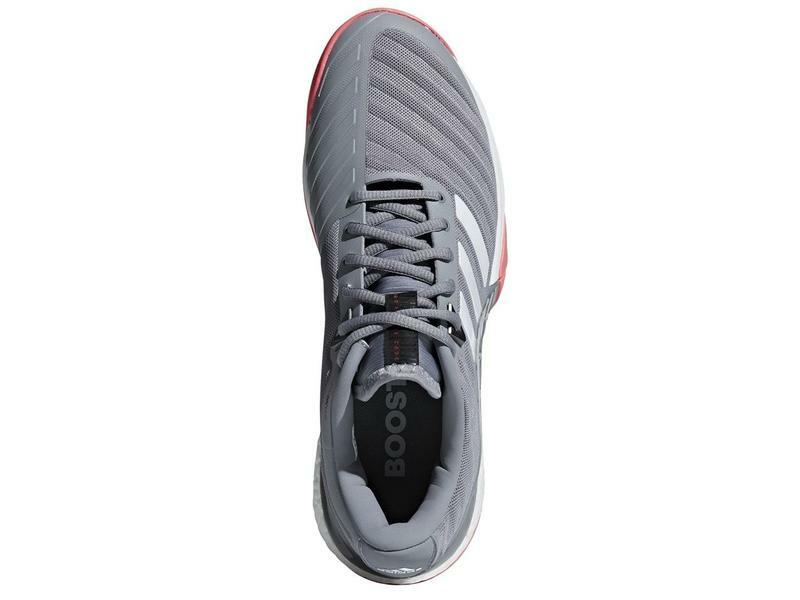 The Boost system is engineered to enhance push off and impact energy transfer, giving the player added energy efficiency. 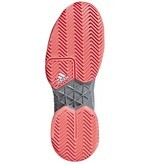 A plush shoe, with superior padding around the ankle. As soon as you slide your foot inside the 2018 Barricade, you feel the security. One of the most stable shoes on the market, many years running. 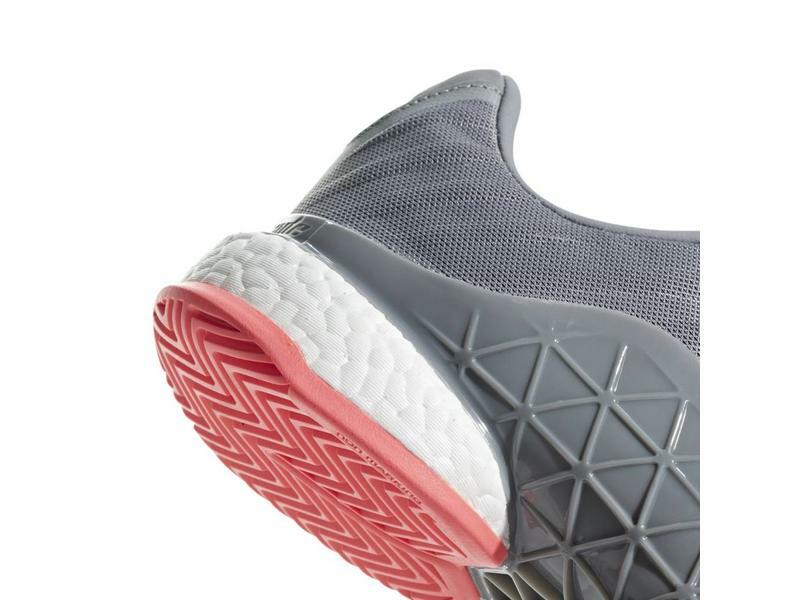 The Barricade's notorious "grabbing" heel cup grips onto your heel like no other shoe. 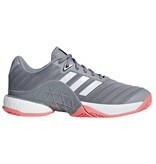 The Barricade Boost keeps you feeling secure on the hardest of slides, lunges and pivots. The toe-box has the ideal amount of space. 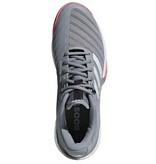 The synthetic mesh upper is built to last, yet remains very breathable. adidas adds Adituff abrasion resistant material to the shoe. Adituff is wrapped around the toe box and adds a durable toe guard to protect you during those serves and slides. 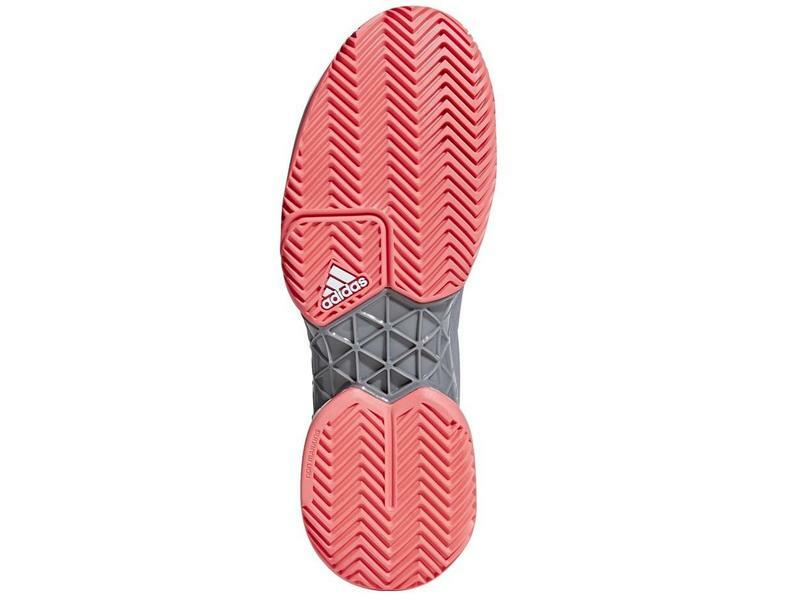 The Adiwear outsole is guaranteed 6 months. A tour and top 10 favorite.